The HMAS Adelaide is the largest naval warship to be sunk off the NSW coast. Being over 138.1 metres long and 15 metres wide, this is a huge vessel- purposely scuttled as a diver recreation area and artificial reef. You can be assured of an enjoyable experience visiting our underwater playground. 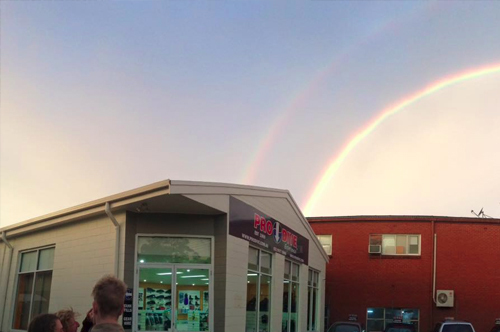 PRO DIVE Central Coast have an exclusive licence to dive the HMAS Adelaide. Our licence is adjacent to the bridge on the port side. From here you can explore both forward and aft sections without backtracking or swimming too far. The HMAS Adelaide is 138.1 metres long, 15.3 metres wide. Being such a large area we have identified over twenty five dives tours- You will always find something different to see on every dive and increase your diving ability at the same time. The HMAS Adelaide is not our only dive site- we have over 429 dive sites on the NSW Central Coast which means you will never be crowded out with other dive boats or fishing boats detracting you from your pleasures. Some of our dive sites are even that exclusive- you require site owners permission before diving which we arrange for you! We are regularly discovering even more dives sites with our monthly scheduled 'mystery dives' and regularly dive local reefs and wrecks. Many sites are weather dependent. Before you head home- Fresh water showers and toilets are located across the Haven oval all year round for your comfort. 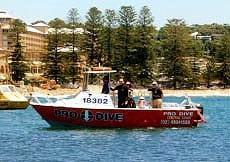 MV Pro- Dive 1 is a purpose built, 7 metre Aluminium dive charter boat designed- for the diver - by a diver. She is capable of carrying eight passengers in comfort to all of the 429 dive sites. MV Pro-Dive II or "Snappy Tom" is the newest addition and is specifically built for diving in groups. Surveyed for 12 divers plus crew, with twin 75 HP outboards. Snappy Tom is fast and reliable whilst remaining comfortable to ride in. For boat dives meet at eastern main boat ramp adjacent to the big blue "Haven Seafoods Fish and chip" shop. Boat dives depart from Terrigal Haven boat ramp (Google Map), next to the blue "Haven Seafoods" cafe. Meet at the Boat Ramp at 7.30am and 10.30am for the second dive. 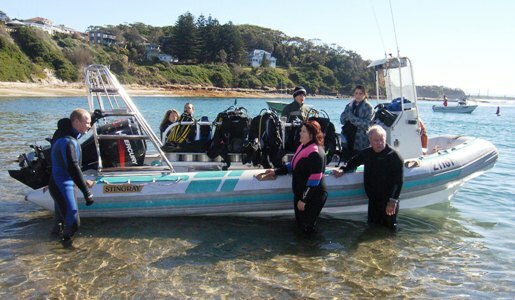 Meet at the Boat Ramp at 9.00am and 12.00pm for the second dive. You must present your Advanced Diver certification card at time of departure. No card No dive! Minimum Advanced Open water diver or Adventure diver with Deep 30 metre rating. Pre purchased Reserve Permit must be handed to boat operator to gain entry to dive site.